Greetings, my beloveds, yes, it is I, Christ. 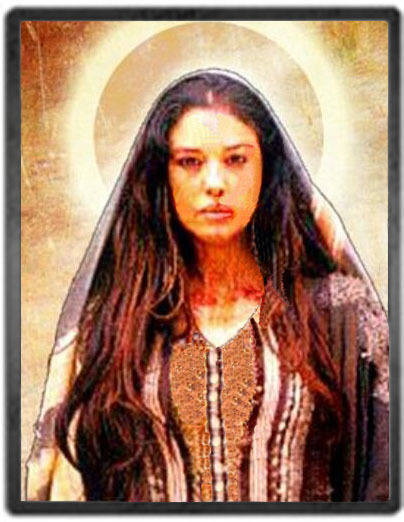 I am here with my beloved twin flame, Mary Magdalene. We are here by great design and are extremely excited to call forth the reunification of the twin flame energy upon this planet. It is of dire importance, Dear One, that each of you begin to hold the energy of your beautiful spirit in its fullest essence. As they say, your powerful spirit is returning to reunification with the essence of your Divine, beloved twin flame. Know, at this time, that the signaling of the energy of the twin flame reunification was ignited by the one named Prince Harry and his beloved bride Meghan Markle. This is not an accident, nor is this of any coincidence that this signaling of these two powerful souls have come forward to bring forth the energy once again upon this planet to begin to awaken that within the hearts of others. This is a part of their mission, as they are here to call forth the energy of the twin flame reunification. So many have been misled, as they say, and so many have been disillusioned by the energy of their twin flame, by their beloved soul brother or sister, who is the other essence or part of their own spirit. And so now, with the signaling of these two beings who have stepped forward into the beautiful light of the beloved frequency of unconditional love, they have allowed and assisted in this powerful reunification. Simply, what I am trying to say is that those who have observed their marriage have been awakened, their hearts have been awakened to unconditional love again, to true love again, as they say, as their hearts have awakened to that essence of Divine Love. For many have been disillusioned by love, by the false pretense of love, by the misunderstanding of love, and yet, these beautiful souls have brought forth this powerful reunification of two beings who have stepped forward into their full power and reunited in their beautiful essence. And so this brings hope, this brings renewal, this brings an understanding that yes, that love, unconditional love between two beloved, twin flames is very real, and yes, this brings hope to many. And so understand, at this time, this is ignited within the heart flame of all souls who wished to be united again with their twin flame, and all souls who have opened their hearts to unconditional, Divine Love. This is what occurred with the engagement and marriage and reunification of these two twin flames, this is ignited within the heart flame of all beings who choose to be awakened, to begin to find peace and love within themselves. And what an exciting time, Dearest Ones, for the twin flames are stepping forward, and they are calling forth to do the work together that they have been asked to do with their beautiful spirits upon this Earth plane, just like Mary Magdalene and myself, we held a sacred contract, our contract was to leave our energy and our essence as twin flames for each of you to step forward, to find the balance within yourself, then, and only then, you would be able to find the twin flame balance of your beloved soul mate. And so today, re-access, or re-examine what you may believe is your sacred contract. Some of you may not understand what it is, some of you may feel that you are already established in your twin flame reunification, and some may not be aware that this is truly accessible to all souls, that all souls are to be uniting and partnering with themselves to come together in the full awareness and the essence of their Divine purpose, individually and collectively with their twin flame. And so why do we speak of it at this time? We are not bringing it forward because it is not of truth, we are bringing it forward because it is truth. It is time for the beloved souls who have come to this planet, eons and eons and eons ago, each of you have agreed that you would come together at an appointed time and you would serve Mother Gaia, you would serve this planet, and you would help awaken all beings to the beloved essence of Divine Love. Can you feel this energy inside of you beginning to awaken and to ignite? The excitement of stepping forward and partnering with your spirit essence, the other half of you, the essence of you, the completeness of you. Yes, Dearest Ones, this completion must begin within yourself first in order for you to be able to step forward and receive your beloved twin flame. But know, Dearest Ones, that this is the time, for the God essence has called forth a timeline that this planet and all of humanity shall return to peace and love, and for the humans that are on your planet, all of the earthlings, it is love that opens their heart, love of a newborn child, love of seeing a young man and a young woman come together in marital bliss. The love of seeing a newborn being, a small creature of any species, be it a puppy, a kitty, a small lion cub, whatever it might be. New life, new energy, the essence of purity, this is the energy of love, this is the energy of the Great Creator, this is the energy that is to be reunited again upon the planet, as if it is the flame, the flame of love. The ignition and the excitement of the flame. As has been noted, at the Grand Temple of the Temple of Union, the clarion call was brought forth in September 2016, when Lea brought forth the energy of the Sacred Masculine and the Sacred Feminine energy to reunify and to call forth this essence upon the Earth plane. Much took place at that reactivation at the Divine Temple of Union in Mt. Shasta California. It is then the energy was sent out and the book, our book Divine Union was able to be brought forward, to once again awaken all souls to the understanding and to plant a seed, as they say, that the twin flame reunification is very real indeed. And now, in your May of 2018, the energy has been brought forward into a greater union, by the marriage of Prince Harry and Meghan Markle, and this is a global signaling that it is time, it is time to put down any differences that you might have within yourself, any feelings that you might have that you are not worthy of love, that you do not feel self-love, that you are not worthy of finding true love, that you are not worthy in any aspect to complete your sacred mission that you come forth on this planet to complete. We say, Dearest Children, it is time, it is time, it is time, it is truly time for you to step forward into your sacred power, and to be the energy of all that you are. To be the essence of peace, of all that you bring forward, and so, Dearest Ones, know the power that you hold as a beautiful, sacred being of light is of great significance. And today, I ask you to hold the frequency, as Dear Linda goes to Mt. Shasta, California, and she brings this energy today that I and Mary will send with her, for you see, Linda is a conduit. And she will be there to bring forth the next leg of the Clarion Call. I am asking you, Dear Linda, to call myself and my Mary forward with the twin flame reunification, for the energy of Divine balance is held within the powerful mountain of Mt. Shasta, California. Sacred Balance. It is why people are called there, it is why they are longing to go there, it is why they are feeling the call to the mountain, to reconnect to the union within themselves, and to reunify and to reconnect to Divine, Sacred Light, and Divine, Sacred Love. Within every particle and every cell of your being, Dear Linda, we say to you that the balance shall be called forth within your essence, and you, Dear One, will take your crystals as you feel led, and it does not matter where you go upon the mountain, it does not matter, call forth the energy and the sacred balance upon this Earth plane, and that all souls and all species and all life forms shall return to balance. The energy of the twin flame reunification is ignited within all species, within all life forms, within all sentient beings. This is an extremely powerful day, again, it is no accident that you have been called to be in Mt. Shasta at this time. It is no accident that the reunification is being brought forward. You will see so much change within your next year, year and a half. With individuals stepping forward and saying yes, I wish to return to balance, I wish to call forth my sacred contract and complete my contract for Mother Gaia and all lifeforms. And so each of you step forward into this energy today. I know this may seem a bit daunting, as they say, or a bit confusing, but what you are agreeing to, if you so shall, is simply to return to balance, to return to that sacred energy as the balanced male/female essence of your beautiful spirit, to be in that beautiful state of oneness and unity. These are not words, these are not concepts, it is truly the energy that you are holding within your being, and all of you are the conduits and the wayshowers of this energy to be brought forward on this planet. And so know, Dearest Children, that time is of the essence, and there is no time to waste. Time is of the essence, and there is no time to waste, time is of the essence, and there is no time to waste. Each of you are beautiful beings of light, as you hold this frequency within your essence and your Divine presence, please call forth this frequency of balance, it is so needed upon this planet, and as you know, you can see around you the instability and chaos, and yes, the fear. But when one soul takes the lead, then it is contagious, and each of you, if you so choose, will take the lead to return to balance. It was the struggle that Mary and I had in our own individual lives, as you understand us more completely, you will understand our humanness and our struggle, just as you struggle with your own humanness, we are here to help guide you, we are here as your brother and sister to support you, and to help you return to the sacred balance within yourself, and find that energy of resolution and contentment. And so today, Dearest Children of the Light, I ask that you allow my Mary and I to stand with you, as I stand before you and my Mary stands behind you, and we bring forth the sacred balance inside of your being, calling forth this energy of the Divine Male and Divine Female essence within you, allowing the strength within you to move forward, and for you to be at peace. Be still, my children, be still, and know that you are loved, feeling this Divine Union within yourself. Be still, be still, be still, and know that you are loved. Reunification of the twin flame essence within you, igniting the three-fold flame, as they say, inside of you, allowing the excitement to move forward, as you feel strong and centered and balanced and whole. It is about equilibrium, and keeping yourself centered at all times. Allowing your heart to open to the essence of all that you are bringing forward, in the beautiful ways that you are showing and allowing your beautiful spirit to move through your being. And so, Dear Sons and Daughters, open your heart to the twin flame essence, as Mary and I are igniting your heart. Feel the energy opening within you, and feel the expansion of your consciousness as you move your energy and your essence into unconditional love and light. Unconditional Divine Love, first for yourself, allowing this energy to come into your being, loving every aspect of your being, every particle of your being, and calling this within the very nuclei of every cell. You are being sparked today with this awakening, you are being called forth into this igniting of energy. And so, Dear Sons and Daughters, open your frequency to pure love. The mountain is calling, Mt. Shasta is calling, it is her sacred contract to awaken each soul, so they may return to balance. Adama and all the Lemurian beings in Telos are applauding and are pleased that the twin flame reunification is being united again. This is how we will bring peace to Earth, this is how the surface population in due time will live in sacred balance, just as the Lemurians and the Telosians do in Telos. This is very real, it is not something that is not out of range or possibility. It is why all of you are working and holding this energy within your being. You are the torch bearers and the light bearers for this frequency, and you are holding the flame of love deep within your soul. And know, at this time, Dearest Children of the light, how important it is to step forward into this energy and into this essence, and to be at peace. Be still, be still, be still, and know that you are God. Be still, be still, be still, and know that you are God. Be still, be still, be still, and know that you are God, calling forth this energy and this essence of Divine peace within your soul. It is being allowed at this time for each of you to enter into the Temple of Union, to the etheric Temple. And so, if you shall, may Mary and I open the doorway as the beautiful Lemurian Council of Light and Adama and Adamar greet you. They wish for you to feel this energy, if not consciously, they wish for you to feel it energetically and subconsciously. As you feel the magnificence of this beauty, and this peace and this tranquility upon your soul, you are literally into the Temple now, you are going into the first chamber, it is where you are allowed now, into the first chamber, to feel this presence of energy beginning to awaken your heart chakra, to awaken your heart chamber, to awaken the energy and the essence so that the igniting of your heart to your beloved sacred self can be reignited and return to balance. Your Divine, Sacred Self is being reignited here in the Divine chapel, the Temple of Divine Union. And there you will be able to ignite the energy of the energy of the essence of Oneness and completeness that is held within your being. Perhaps you are able to feel it and sense it, the purity and the energy that is being brought forward to each of you. You are being ignited, you are being reactivated into your remembrance as the beautiful Lemurians that you are, as the beautiful spirits that you are, as the beautiful earthlings that you are. You are being reunited into balance with your Divine self, and what does this mean? How does this feel? We will tell you, Dearest Children, you will begin to feel a centeredness and a calmness, and a peace inside of your being, that you have never felt before. Allow this energy to germinate within you, and as it is called forth today, on the mountain of Mt. Shasta, with the assistance of our Dear One, Dear Linda, she will literally be the conduit, the physical conduit that will activate and open this portal for all of humanity to receive the Divine Flame of Sacred Union within themselves. What a powerful, powerful day, Dearest Children. What a powerful moment in time, what a powerful reunification of this energy and this essence. This is the energy my Mother, my Mary and myself have held for each of you. We’ve held the template of energy for each of you to step forward into this Divine frequency of balance. And yes, I include my Mother, for without her compassion, this could not be. Without her love, this could not be. So that is why we are opening your hearts, so that you feel it within yourselves, so that you may awaken this frequency, as you are all portals of light, and then and only then, you’ll be drawn and attracted to your twin flame, who will step forward to greet you, and you will walk on the journey together, in sacred balance, assisting this planet, assisting all souls, assisting all life as you return to Oneness. I ask at this time, that you now allow Mary and I to lead you from the beautiful etheric Divine Temple of Union, and if you can imagine yourself standing on the physical portal of the Divine Union Temple, there on the ridge at Lake Shastina, in Mt. Shasta California, can you feel the wind blowing through your hair, and feeling the freedom, as you call forth this energy within your essence. 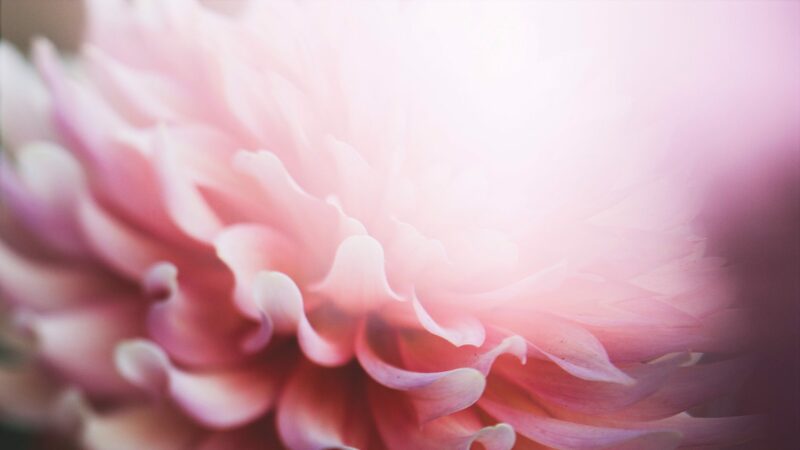 And now, Dear Ones, allow yourself to feel your beautiful sacred heart opening with compassion to yourself, as you allow this frequency to move through you with grace and ease. And hold the frequency of the light that you are, and be at peace. We thank you for your time, we thank you for your attention, we thank you for holding the light and the energy of All That Is. May you awaken to the essence and the presence of the Divine Sacred Light within you, as you call forth the sacred balance of your beloved twin flame, of your beloved soul as you merge in union with yourself. May you return to Oneness and truly be at peace.